What is Avibon vitamin A cream? 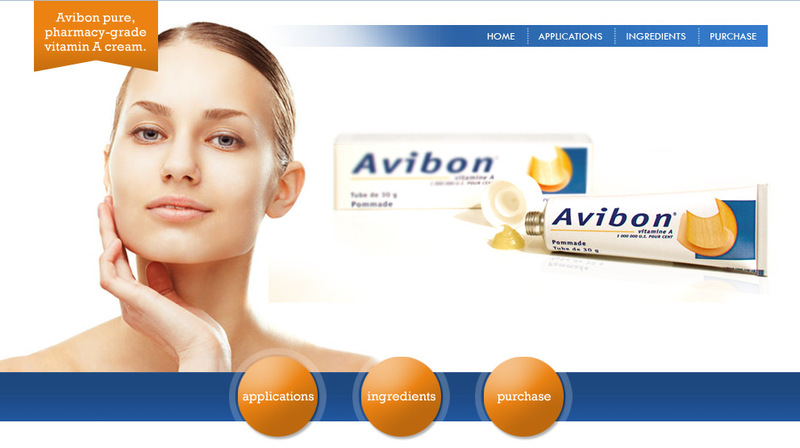 Avibon was a French pharmacy-grade vitamin A cream or "pommade" used topically for treating wrinkles. Customers that bought Avibon now have gravitated towards A313, which is a slightly milder form. Both are naturally converted to retinoic acid by human skin after smoothing onto the hands and face after approximately fifteen minutes. It does not sting or irritate skin in the same way as harsher retinoic acids like Retinol, that are created in a lab versus naturally proessed on the skin. Scientific results have proven the effectiveness of Avibon for reducing wrinkles and it is a favorite among celebrities in addition to hyaluronic acid face creams. Avibon has been off the market for about 4 years. Typically, about the size of a large pearl is squeezed onto the finger and rubbed in on the face avoiding getting it in the eyes or mouth. It will feel greasy but rubs in and after a few minutes it feels absorbed. About ten minutes later, one will notice the skin feels like it it was just applied. In fact, the skin is working its natural process of converting the rubbed-in vitamin a to retinoic acid. One can rub it in slightly at that point or leave it alone to work its magic even more. It is not necessary to wash it off, but the skin will feel like the skin has essentially oiled itself a bit like teen-agers commonly experience. Avibon does not clog pores because the retinoic acid gently dissolves the dirt trapped in pores and actually is commonly cited by users as shrinking pores. Avibon does not require a prescription and is sold over-the-counter in France. It is only sold in France, but is available worldwide via www.Avibon.com. It is important to understand that Avibon is pure, pharmacy-grade vitamin A which, when on the skin, amplifies the intensity of the sun and thus should not be worn in direct sunlight. It is advised to wear Avibon at night before bed. It has a scent to it that is mild and similar to plant-based ointment versus perfume. Avibon cream should not be used by pregnant or nursing women due to the vitamin a concentrate passing into the breast milk or blood stream which is at too high of a concentration for babies. Too much vitamin a puts a dangerous stress on adult organs as well, thus it is extremely important to take a break from using the product regularly to let the vitamin a concentration not build up. An example regimen might be using avibon three or four nights in a row, then abstaining from use for two or three nights, then restarting. This is not medical advice and every individual is different, thus, it is highly recommended one speaks to his or her physician as necessary. Click for information about hyaluronic acid for minimizing fine lines. The top French brand is Ialuset. Where can I obtain more specific information? Read more about the science of Avibon here. Click here to read the Avibon ingredients. Click here to buy Biafine. Net-a-Porter:"Avibon does wonders for fine lines." Actual Customer Review:08/07/2013- I can't imagine not having Avibon as part of my skin-care routine. It erases lines, keeps skin soft, and fights acne...what else could you ask for? This is an affordable product that will not disappoint. Looking for Homeoplasmine, Hyaluronic Acid, or Biafine?